“There are currently no primary treatments for TBI, so this research provides hope that effective treatments can be developed,” said study author Michael Kaufman, a second year medical student at Wayne State University School of Medicine in Detroit and a member of the American Academy of Neurology. The principal investigator on the study is Christian Kreipke, MD, also with Wayne State University School of Medicine. Traumatic brain injury causes a decrease in blood flow in the cerebrum of the brain, which if prolonged, can cause permanent cell dysfunction and death. 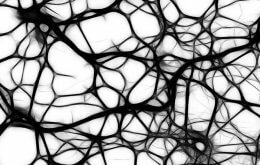 A receptor in the brain called endothelin receptor A (ETrA) contributes to the restriction of blood flow as early as four hours after a brain injury. The new drug, called clazosentan, is thought to specifically block these receptors. Researchers gave brain-injured rats the drug clazosentan through an intravenous (IV) line at several different points in time after the injury. Next, they measured the rat’s blood flow in the hippocampus and sensory motor cortex with an MRI brain scan and tested their behavior in learning a maze. Preliminary data from the study found that clazosentan decreased the effects of the traumatic brain injury on blood flow to the hippocampus by 25 percent at four hours and 23 percent at 48 hours after TBI. However, giving the rats the drug at 12 hours post-injury caused some to improve, while others worsened or remained the same. In the trial, the drug was most effective when given at two hours post-injury and again at 24 hours after the trauma. The rats also performed better on the maze test when given the drug at two and 24 hours post-injury. “This research is the foundation for future clinical trials that will investigate the possibilities of using clazosentan in the treatment of TBI,” said Kaufman. Learn more about traumatic brain injury at http://www.aan.com/patients. The study was supported by the American Academy of Neurology, the National Institutes of Health, and the U.S. Department of Veterans Affairs.